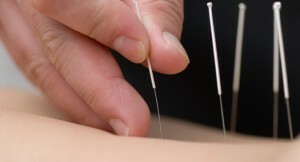 Dry Needling is an effective technique used in the treatment of pain or discomfort of a myofascial origin. It is a western medicine-based treatment, similar to acupuncture, which was developed in the early 1980’s. Researchers discovered the technique unintentionally while investigating the effects of injecting muscle relaxants into taut bands in muscles of patients suffering from whiplash following road traffic accidents. Researchers inadvertently discovered that, rather than the muscle relaxants themselves, it was the effect of the insertion of the syringe needle that ultimately led to the relaxation of the taut bands within the muscles. The syringe needles were subsequently replaced by epidemic needles and dry needling became a treatment technique in its own right. At Laurel Lodge Physiotherapy myofascial dry needling is practiced and is commonly used as an adjunct to other physiotherapy modalities in the holistic treatment of myofascial disorders. This form of non-medicated treatment has been proven to treat many types of common musculoskeletal problems without any acute or long term side effects. Many patients seek Dry Needling as an alternative to pain killers due to long term side effects of their medication and becoming more tolerant over time.